Competition number 124 adorned the car entered by J.A. Arber to the 1932 MCC London-Land’s End Trial, that took place on the 25th and 26th March. Arber’s Midget (as detailed by Cowbourne) can be seen here being assisted up one of the nine observed hill sections. Despite this he went on to collect a Silver Award. 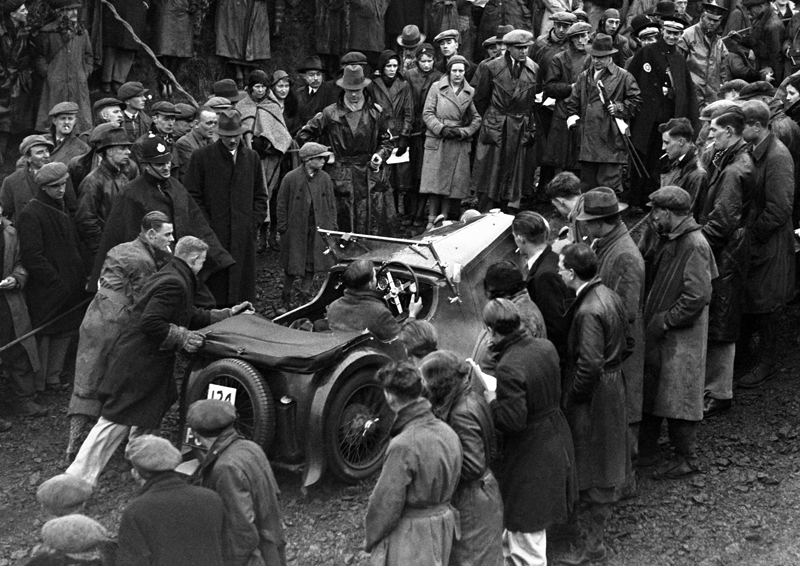 His car looks to be an MG D Type but has rear hanging doors – perhaps an MG specialist can help identify the model? (LAT Plate B7807) Edited to add: Thanks to the help of the Triple M Forum, Sam Christie, Ted Hack & Cathelijne Spoelstra for identifying the car as an MG D Type Jarvis Special Midget DO360, first registered as PJ 3201, which has survived and is now resident in Luxembourg.